Life is like a book, write it! Found my fridge with an over abundance of cherries. Now, what to do with them? As dinner was lamb chops, I decided to make a simple sauce out of it. 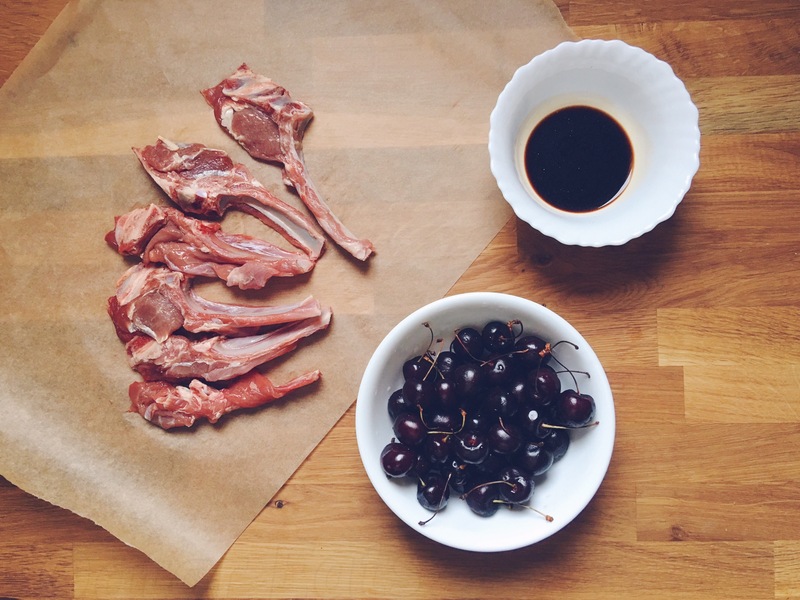 This cherry sauce is so good with grilled meat as it contrasts its saltiness and smokiness. I didn't really have a recipe, just a splash and dash of things that I have in my pantry so you can add more stuff in this sauce as you like! 1) In a heavy bottomed pan, add cherries and just enough water to submerge the cherries. Bring to a boil in high heat. 2) Once it boils, lower the heat to medium low and continue boiling until water is reduced to half its original volume. 3) Add the vanilla pod (extract), balsamic vinegar, salt and pepper. Reduce the heat to low and let it simmer until the liquid is further reduced to half. 4) Once the sauce slightly thickens, remove from heat and cool until serving. Glaze it over meats or salads or just about anything you can think of.